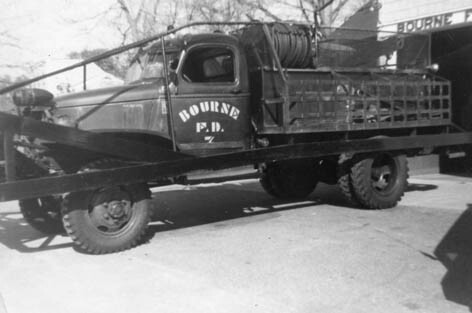 Bourne Engine 7, Breaker 127 was a former military 1944 Chevy chassis. 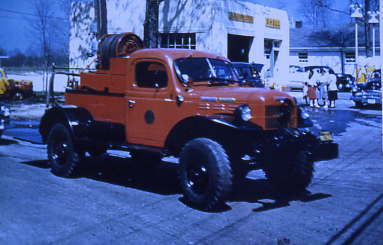 It had a 600 gallon water tank and a front mount pump as well as an auxiliary pump. 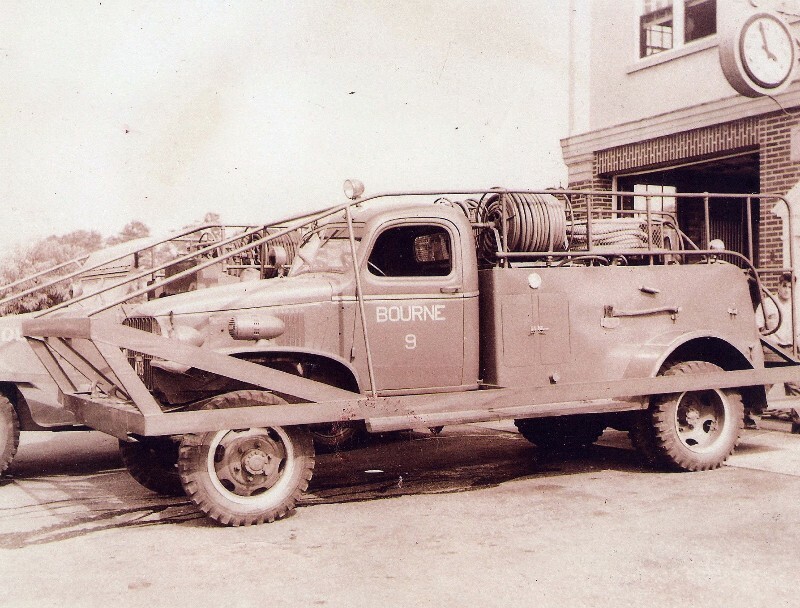 Bourne Breaker 127 1944 Chevy. 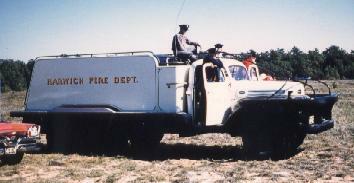 Bourne Breaker 7, (127) served into the 1970s. 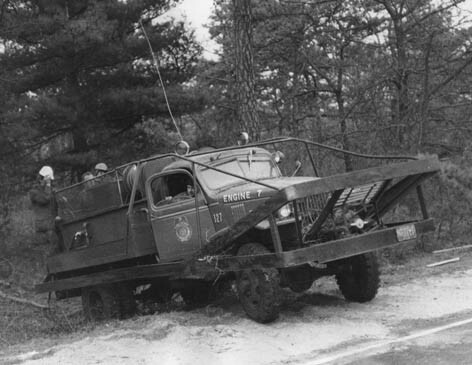 1949 former military truck converted to brush breaker in Bourne. 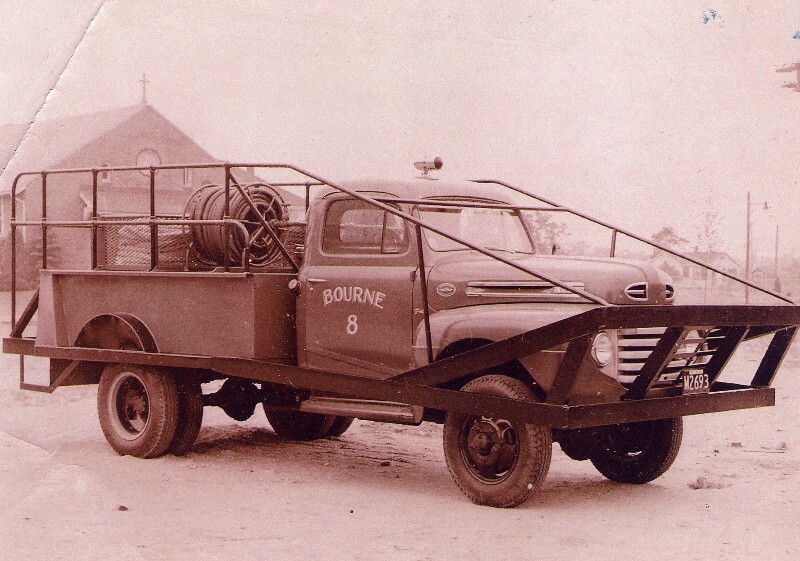 Bourne Engine 11 was built on a 1940s military Scout Car. 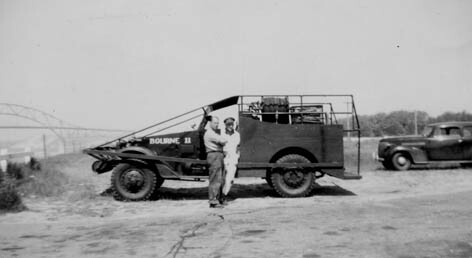 These type vehicles had half tracks before being refitted. This breaker is shown along the canal. 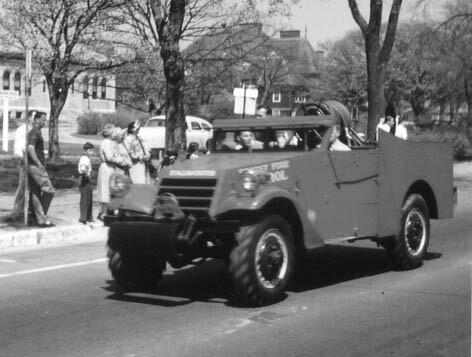 Falmouth Fire Department operated this military scout car as a brush truck. 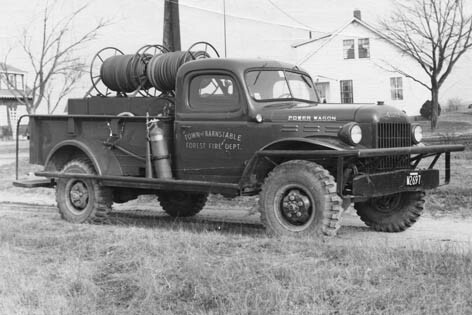 The Town of Barnstable Forest Fire Department had several vehicles. 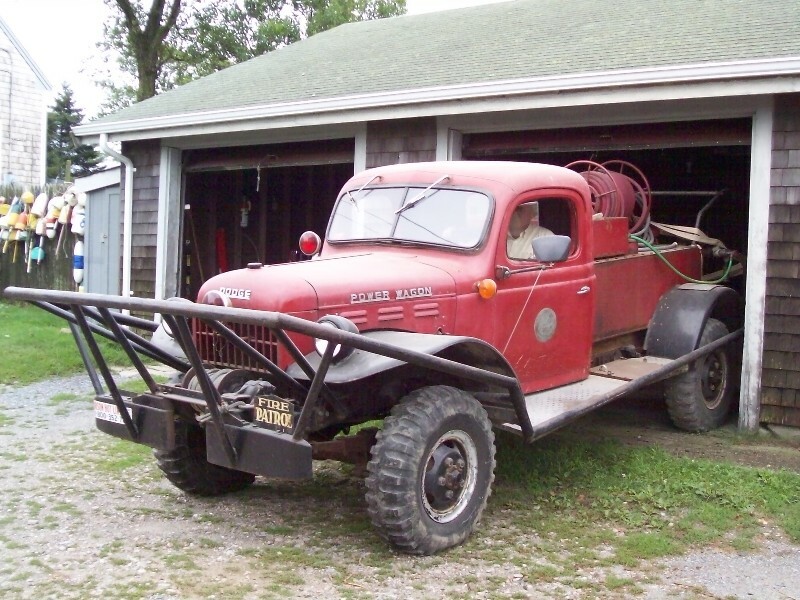 This brush breaker was built on a 1947 Dodge Power Wagon chassis. 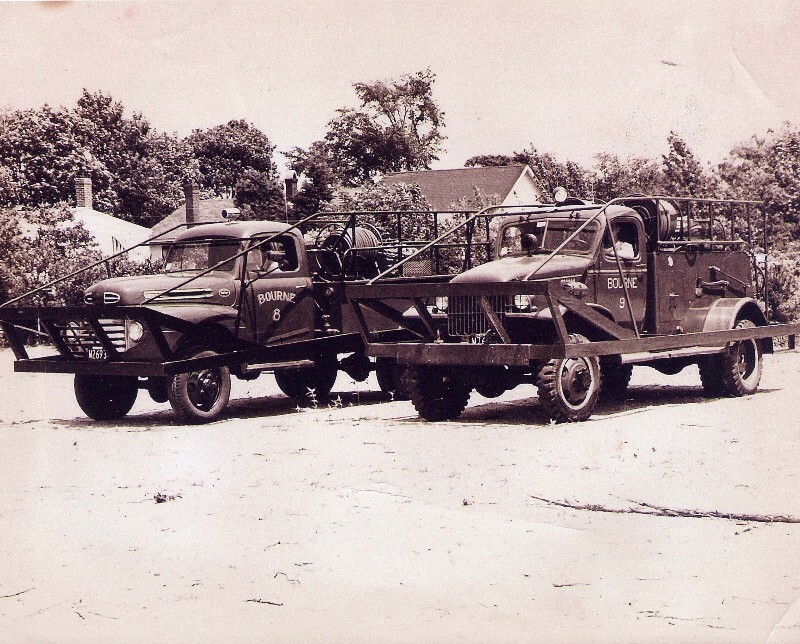 It served in Cotuit as Breaker 217 until 1969. 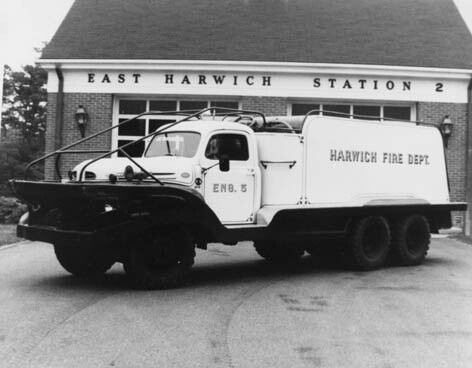 It later saw duty in Hyannis and finally in West Barnstable. 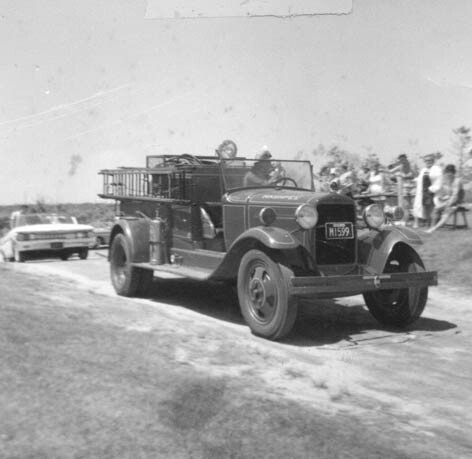 The Town of Barnstable breaker 217 at Cotuit. 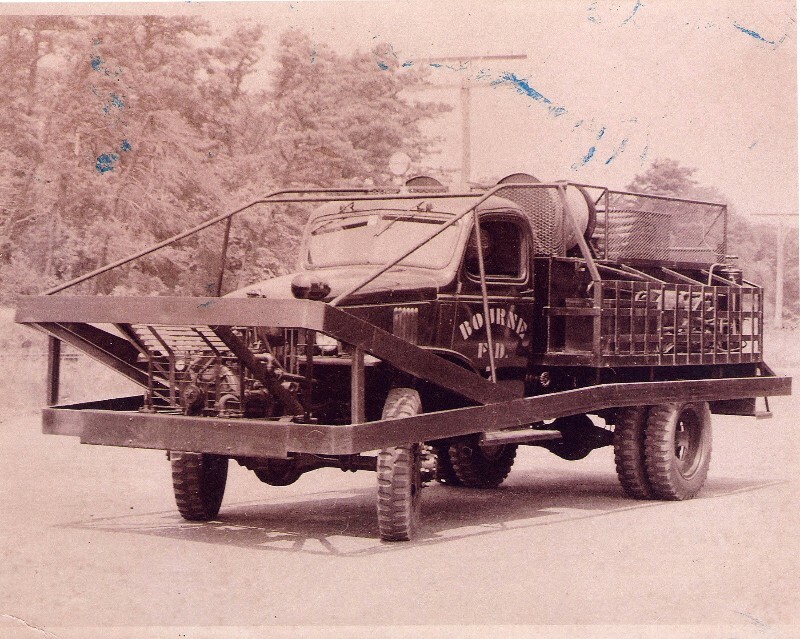 The 1947 Cotuit brush breaker 217. 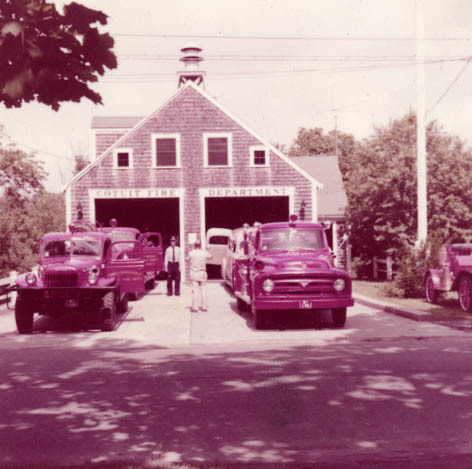 The brush breaker is on the left in front of the Cotuit fire station. 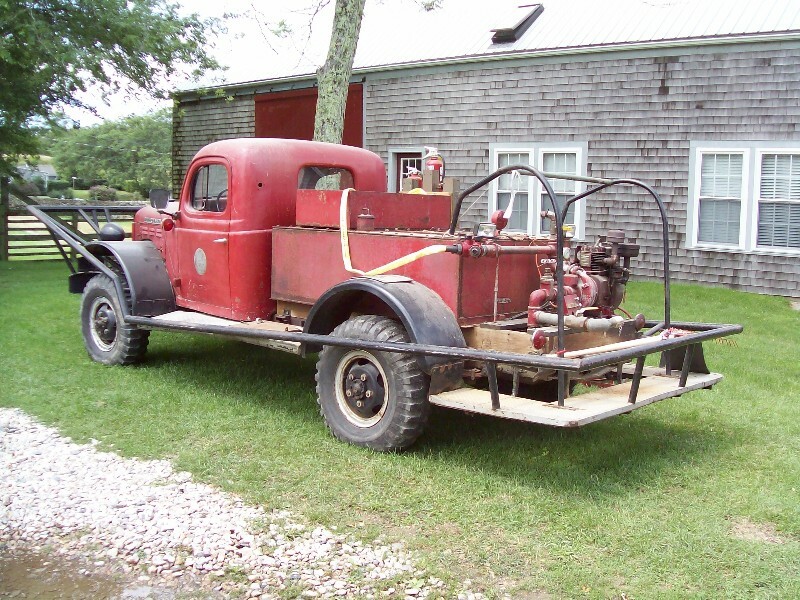 Centerville-Osterville built this truck in 1942 as Engine 4. 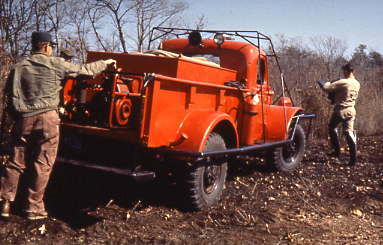 It had the capacity for several forestry lines. 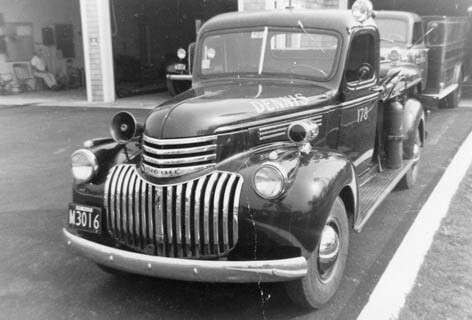 This 1940s Chevy patrol truck served in Dennis. 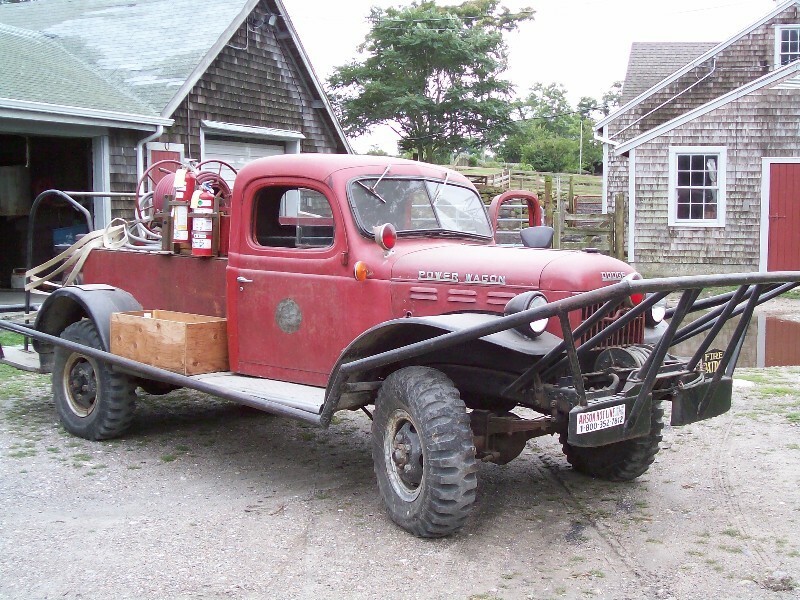 Falmouth Dodge Power Wagon brush truck from 1940s. 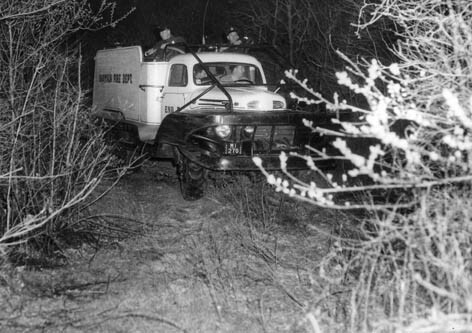 Originally Falmouth Car 30 had about a 200 gallon tank. to beautiful and near original condition. It is currently (2010) kept in Bourne. 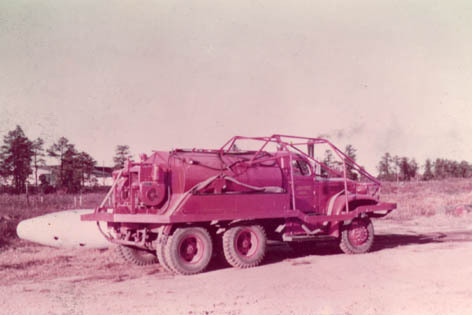 Otis built its first brush breaker on this 1944 Diamond T chassis with a 1000 gallon tank. 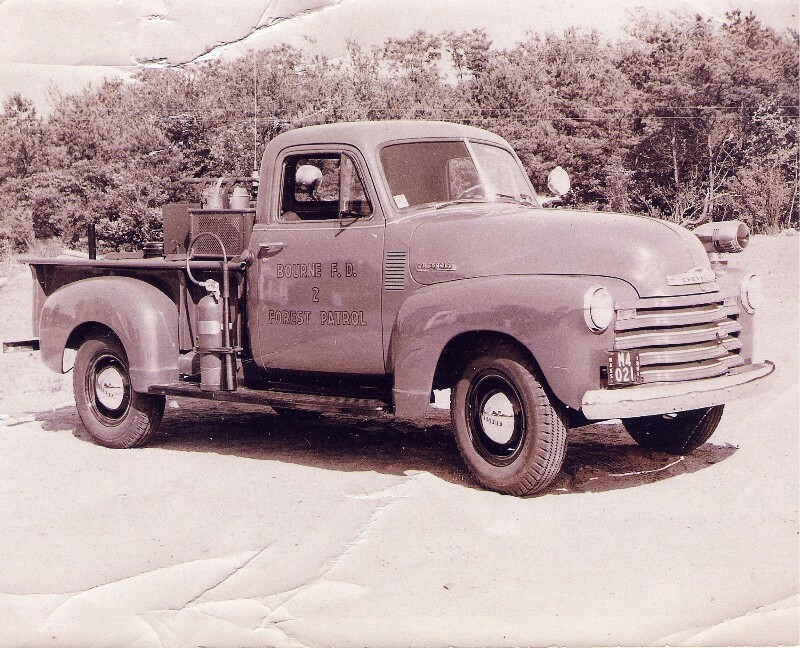 1951 Chevy patrol truck in town of Bourne. 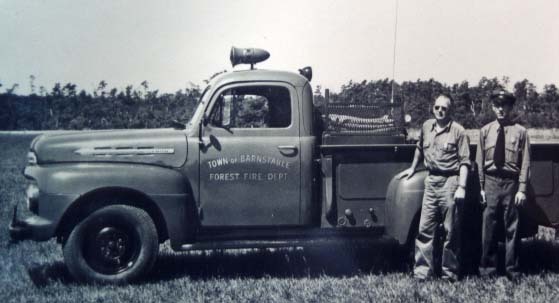 Town of Barnstable Forest Fire patrolmen stand with their 1950 patrol truck. incidents of any type. 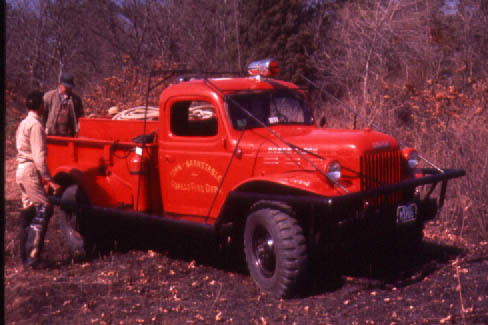 When not fighting fires, they maintained fire roads and equipment. by Robinson. 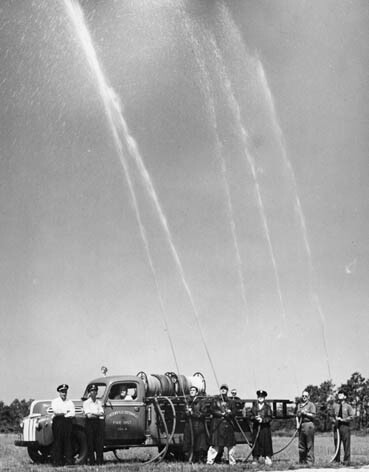 It carried 1500 gallons of water. 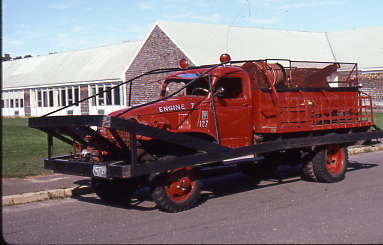 the "White Elephant" It retired in the 1970's. 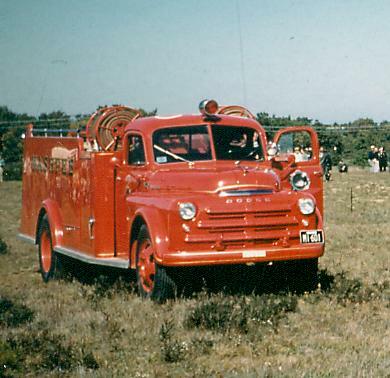 This 1950 Dodge 800 gallon pumper served as Mashpee Engine 2.